Please note that if you are purchasing for a school outside of Ireland we will require you to pay your invoice in full before we can ship your order. Cheques must to be made payable to Scholastic Ireland Limited. Yes – All Book Club order forms are now online. Simply go to our online order forms page where you will find two versions of the Primary and Teen order forms. One to use to spend your Rewards on books at their original RRP price, and one to purchase books at the Book Clubs offer price. We’re always happy to help with any queries you may have. How can I get a Schools catalogue? If you work for a school and would like to receive a copy of our current catalogue, please complete the form here and we’ll get one to you as soon as possible. How do I remove a school from my list of schools? You can spend Rewards online by logging in your school Book Club account. When browsing the shop online simply select the ‘Buy with Rewards’ button and these items will be included in your order for free. You can also download a paper order form to spend your Rewards. If you choose to have your books delivered directly, you should receive them within 8 working days of placing your order. P+P is FREE for orders of €30 or more. For orders under €30 there’s a charge of €6. For deliveries outside of Ireland and the UK charges and times will vary. If you have your books delivered to your child’s school for FREE your Book Club Organiser in school should be able to tell you when the books will arrive. They will need to confirm the whole school’s order and then we will deliver the books to school within 8 working days. If you work in a school in Ireland you can have your books delivered to the school address for FREE. Delivery will take up to 8 working days. If you think that your online Rewards total is incorrect, or if your printed serial number is not recognised, please call us on 1800 272 321. P+P is FREE for orders of €30 or more to an address in Ireland. For orders under €30 there’s a charge of €6. Books should be delivered within 8 working days. Delivery charges and times vary for overseas addresses. If your child’s school has a Scholastic Book Club order open you can choose to have the books delivered to school for FREE. The whole school’s order will be delivered together to be handed out in class for the children to take home. After the deadline set by the school has passed and the Book Club Organiser has confirmed the order we’ll send out the books for the school to hand out. If you’re a teacher that works in a school in Ireland you can have your books delivered to your school address for FREE. I’m a school. Can you tell me how I can get free books? When anyone places an order over €10 on this site they’re asked to choose a school that will benefit from their order. We’ll give 25% of their order value to the school of their choice to spend on books. Just ask staff and parents to search for your school when they’re prompted at the checkout in order to get free books. At the end of each month your school will receive Scholastic Rewards in the post worth 25% of the total value of orders allocated to your school for that month. You can redeem Rewards against a wide range of books and resources in any of our current catalogues including most of the books in this shop. Scholastic Rewards are valid for 12 months. You can earn even more FREE BOOKS by running a Book Club in your school. *“Find out more at shop.scholastic.ie/bookclubs . Schools earn Scholastic Rewards by running Book Clubs and Book Fairs, and also through purchases made by parents and teachers from our shop – we donate 25 cents in Scholastic Rewards to a school of the customer’s choice for every €1 spent on the Scholastic Shop on orders over €10. Rewards can be used by schools to purchase most of the hundreds of books and resources, at full RRP price, available to buy from Scholastic. Your card’s security code (CVC) is the final three digits found on the signature strip on the reverse of your card. 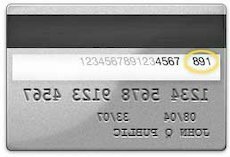 The security code (CVC) for your American Express card is a four-digit number located on the front of your credit card, to the right of your main credit card number. What is your refund, return and cancellation policy? If you’re not happy with an item you’ve ordered then just return it to us within 28 days for an exchange or refund. How can I return an incorrect or damaged item? Should you receive any items that are incorrect or damaged, please call us on 1800 272 321 (Monday-Friday, 9am-5pm) and we will of course send a replacement straight away, free of charge. If you would like to cancel an order please call us on 1800 272 321 (Monday-Friday, 9am-5pm) to find out if this is possible. If the order has already been despatched you can return it to us for a refund within 28 days. When will my child’s Book Club order arrive? The Book Club Organiser at your school should be able to let you know when the order is expected in. After the deadline has passed they will then need to confirm the total order and we will then deliver the books to school for them to distribute in 8 working days. Why haven’t I received any Book Club leaflets? Many of our Book Club offers are now online-only. This is a much quicker and easier way to run a Book Club as there are no paper order forms or cash payments for schools and parents to deal with. A staff member at school sets up a new Book Club order via our website. Parents and children go online and browse the latest Book Club range. Parents order and pay securely online.